Belarus and Ukraine are currently studying the economic feasibility of reviving the E40 waterway which goes along the Vistula and Dnieper rivers. It will connect the Baltic and Black Seas and make inland shipping cheaper and more environmentally friendly. On 10 October the trilateral commission presented their project on the route's restoration at the international exhibition «Transport Week — Belarus 2014» in Minsk. The Oder-Vistula-Dnieper route, which had operated since the 18th century and connected the two seas till World War II, has laid in ruins for decades. At present, interest is growing again not only in the Eastern Europe region, but also in Scandinavia and Turkey. Belarus and Ukraine water transport agencies seem to be quite happy with the project, while Polish civil society express their concern about its potential impact on the environment — it can damage natural water reserves and cause flooding. Earlier on, the Latvian government turned down a project that would connect the Daugava and Dnieper rivers for the same reason. According to their assessments, the reconstruction of the ancient trade route “from the Varangians to the Greeks” could endanger Latvia's greatest river environment. The Oder-Vistula-Dnieper inland waterway emerged in the 18th century and crossed several countries in Eastern Europe, including the lands of modern Belarus. As a trade route, it connected the Baltic and Black Seas and operated until World War II. After the war part of the route, stretching from Warsaw to Brest, stopped working. Soviet leaders thought about reviving the route, but never got any further than talking it over. Since 1990s, however, these newly independent countries have renewed their efforts to restore the trade route. 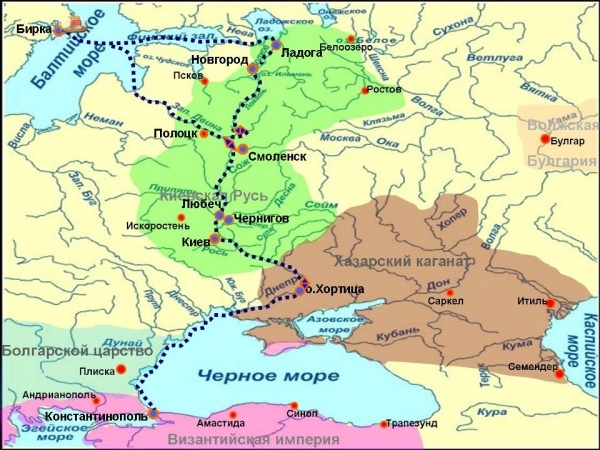 Recently, discussion over the restoration of the route led to the project “Restoration of Inland Waterway E40 in the Dnieper-Vistula region: From Strategy to Planning”. The project is an attempt to prepare an economic and technical justification, as well as a comprehensive study of its environmental impact and other potential consequences which its reconstruction might lead to. Costing $1m, it is being financed by the EU cross border cooperation programme Poland-Belarus-Ukraine. The study will be carried out from 2014 to 2015. The reconstruction of the waterway itself is estimated to cost around $150-200m. 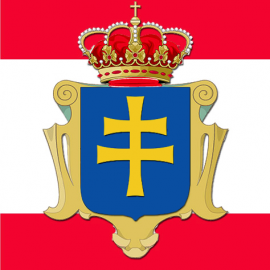 After a conference in Brest in March 2014, a permanent commission for discussing the Dnieper-Vistula route was founded. It includes both national and local governments as well as experts and NGOs from Poland, Belarus and Ukraine. In July, a conference took place in Warsaw with about 100 politicians, officials and experts to discuss the project. The countries of the Black and Baltic Sea regions, and transit countries like Belarus, are all interested in using the waterway to ship their cargo at lower prices and with greater ease. Inland waterway transportation consumes less energy, as it can move with the river's current without consuming fuel for hundreds of kilometres at a time. Moreover, it causes less environmental pollution than both railroad and motorway cargo transportation. According to Polish experts from the trilateral commission, the E40 route operation will reduce the cargo transportation time between the two seas by 21 days, will cut fuel consumption by a third and relieve the current cargo loads of the Polish ports in Gdansk and Gdynia. After its complete reconstruction, the route will be able to ship 8m tonnes of cargo annually. Belarus and Ukraine are the project's primary advocates. In more democratic Poland, civil society is voicing its concerns on how the government’s economic interests may impede on the environment's health. A part of the Bug river is located within a natural reserve that makes up part of the EU Natura 2000 network. Poles also worry about the impact of the project, particularly its potential to flood the Vistula river in Poland. Of course, the same problems may also arise in Belarus, but no one is able voice their objections to the project if a decision has already been made at the top. If implemented, as an inland country, Belarus would get access to two seas, with the Baltic Sea ports being the most lucrative. It would allow it to cut shipping costs for Belarusian exports like potash and oil products, as well as the freight of its Eurasian Union partners. This would make Belarus a major player in the European waterway transportation system. Belarusian representatives view the project as being of strategic and long-term importance. Back in 2008, a Ministry of Transport official Branislaŭ Havaroŭski said, “the time will come when the EU will engage in the project to relieve railroad and motorway East-West routes”. It appears, he may have been right. In Belarus, the waterway's infrastructure has depreciated considerably, though the government is currently trying to repair it. The areas currently under considering include the western Bug and Prypiac rivers since they are part of the E40 route. However, the facts on the ground seem to demonstrate that the project has largely been a failure. In January 2014 a state agency inspected the work of inland waterway transport companies. It concluded that the sector is stagnate and the state's development programme for the sector over 2011-2015 had failed. The number of usable vessels continues to decrease in number and even the capacity currently available is scarcely used. These newly created companies, which should have been working to develop the water transportation network appeared to rather be dealing with trade and not the inland fleet's development. In other words, the industry has plunged into corruption and is in a critical state. Will the Vikings’ Route be Revived? In early 2000s, the Belarusian government announced plans to restore the Daugava-Dnieper waterway. 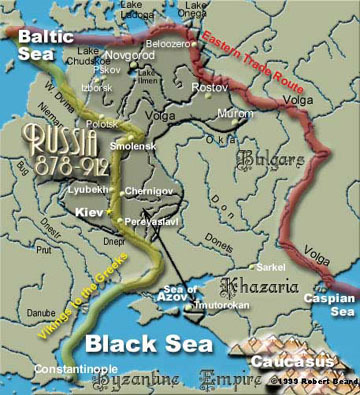 This waterway served as a part of an ancient trade route that stretched “from the Varangians to the Greeks” and connected Scandinavia, Kievan Rus’ and the Byzantine Empire via the Baltic and the Black Seas. According to Belarusian officials, an international consortium have expressed their readiness to implement the waterway restoration project worth $10bn, with Kaupthing Investment Bank from Iceland providing a bulk of the investment. The authorities have estimated the annual freight that will pass via the route to be around 100m tonnes. Talks surrounding the project took place in 2004 at a session of the Economic and Social Council of the United Nations. Soon after, however, the Latvian Ministries of Transportation and the Environment announced that they thought the was a potential threat to the environment as it could negatively affect the Daugava river in terms of the quality of its water and its overall environment. Furthermore, they claimed the project was economically infeasible. So far, the project is stuck in a stalemate, with neither Belarus nor Latvia possessing the political will or the funds to implement it. Nevertheless, the inland waterways remain a potentially lucrative area for development and the governments seem likely to return to it when the necessary conditions emerge. Meanwhile, the Vistula-Dnieper route's reconstruction may yet see the light of day in the coming years. With the obvious economic and environmental advantages, the project can benefit both EU and Belarus, as it will help it further integrate into the European economic space and attract foreign investment. Это я поменял. Там сначала кошерная на латинке стояла. Ну какая же мы Раша? Еще Рутения написали бы — куда ни шло. Они б еще USSR написали. Skipper, not to know is bad, not to wish to know is worse. If you want to be somebody, somebody really special, be yourself, уважаемый сухопутный яхтсмен.